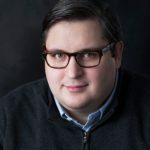 Gregg Fergus is the Chief Executive Officer and Chief Commercial Officer of 4Catalyzer, a Guilford, Connecticut-based startup accelerator dedicated to democratizing healthcare and maximizing societal impact. 4Catalyzer provides funding, support and mentoring, and has raised over $450 million for four of its healthcare startup companies. In addition to management, his responsibilities include hiring the technical and commercial teams and serving on the Board of Directors of each startup. 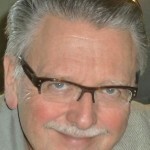 Gregg is also a co-founder and Board member at LUM- Live Undiscovered Music. Prior to joining 4Catalyzer, Gregg was the President and Chief Operating Officer of Ion Torrent, which pioneered an entirely new approach to DNA sequencing. In addition to directing and managing the company, Gregg was instrumental in raising $40 million in funding for Ion Torrent in 2009. In 2010, a year before the company launched its first product, Gregg negotiated the sale of Ion Torrent to Life Technologies for $725 million. Ion Torrent’s PGM sequencer became the fastest selling DNA sequencer in the world shortly after going to market and it generated $550 million in revenue over three years. The Ion Torrent division was worth $2.4 billion in the 2014 sale of Life Technologies to Thermo Fisher. at RW Baird/Baird Venture Partners, where he provided investment thesis, deal flow and industry contacts for the Life Science tools market, Chief Commercial Officer of Cellular Dynamics International and Senor Vice President of Sales and Global Operations at Affymetrix, Inc.
mile run) and 8 Half-IRONMAN competitions in a span of 3 years. Allen Dines is an Executive Advisor at WISC Partners, a strategic operating capital fund founded by a group of Silicon Valley-based UW-Madison alumni. 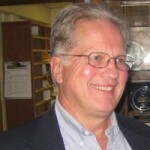 Allen has more than 30 years of experience at the executive level working at the interface of science and technology. His passion is creation and growth of new ventures. He is also active as a mentor and advisor with MERLIN mentors, 100State, gener8tor, Madworks Accelerator and MadVentures. 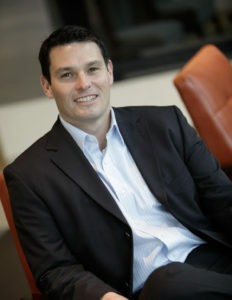 Most recently Allen was Assistant Director, New Ventures at the UW-Madison Office of Corporate Relations. During his tenure at UW-Madison he founded or provided original inspiration for many of the programs and events that today are mainstays in Madison’s startup scene. In 2003 he founded the Midwest Research University Network (MRUN), an alliance of Midwest university commercialization managers and others focused on fostering startup ventures. Prior to joining UW- Madison, Allen was involved in three startup ventures, all in the biotechnology sector two of which he co-founded and all of which sold to leaders in their respective industries. Prior to these ventures, Allen was an Associate with Booz, Allen & Hamilton, Inc. in Bethesda, MD working with the Pharmaceuticals, Agrichemicals and Food practice. Allen holds degrees from the University of Michigan including a B.S, a Masters in Natural Resources and an MBA. Matt Younkle is an inventor with an eye for business. His product development work has spanned a wide range of industries: from space research, to networking software, to draft beer. Matt’s successes have resulted in the first food to ever be grown in space and the world’s fastest retrofittable beer tap. His projects have been featured in USA Today, Popular Science, The Wall Street Journal, TIME Magazine, CNN, CNBC, FOX News, Chicago Sun Times and the Tonight Show with Jay Leno. 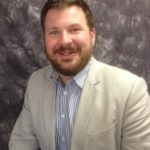 Matt is a connoisseur of and oft-requested speaker on topics of innovation, intellectual property, patents and the commercialization of new products. Matt is currently founder and CEO of Cardigan, an app for digital exchange and management of business cards. 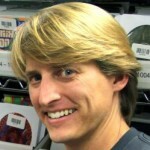 Previously he founded and served as CEO of, murfie.com, a music streaming company offering CD and vinyl collectors and audiophiles a way to bring their music into the 21st century by combining lossless streaming with the ability buy, sell and trade their music in an online social music marketplace. He is also a co-founder of Capital Entrepreneurs. Previously Matt founded Laminar Technologies, LLC, the developer of the TurboTap® line of beer dispensing products. Laminar was a 2005 winner of the Chicago Innovation Awards, and TurboTap was named a top invention by both Popular Science and TIME Magazine. Matt is a graduate of the University of Wisconsin-Madison with degrees in computer science and electrical engineering. He has been awarded thirteen US and international patents. Kevin Barnett is co-founder of Pyran, a spin-off from UW-Madison. Pyran focuses on production of chemical feedstocks from renewable sources. Pyran is working to commercialize a renewable process to manufacture 1,5-pentanediol, a key chemical used to make paints and plastics. The technology was developed at University of Wisconsin-Madison Chemical Engineering Department under the supervision of Prof. George Huber as part of a $3.3 million US Department of Energy (DOE) grant. Kevin’ recently completed his PhD in Chemical Engineering based on research in Prof Huber’s laboratory..
knowledge and software experience have led directly to the conception of his latest project, Milwaukee-based SteamChain. Mike has a Mechanical Engineering degree from Michigan Technological University and has lived in worked all over the world supporting some of the most advanced manufacturers in the industry. Max Fergus is the CEO and Co-founder of Live Undiscovered Music (LÜM). LÜM was founded from a UW think tank that focused on rapidly expanding industries with antiquated business models. Fergus, along with a team of UW students and alumni, realized that with the advancements in streaming technology, current applications could be used to successfully bring music to the next generation of artists and fans. Fergus recently graduated from UW-Madison, receiving a degree in Finance, Investment and Banking with a focus in healthcare. 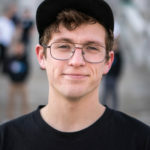 Prior to starting LÜM, Fergus was one of the few students admitted to the UW-Madison school of business as an incoming freshman. 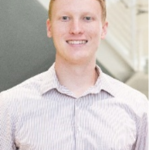 Through college, Max worked in Shanghai, China as a financial analyst for a healthcare and life science venture capital firm and for Leerink Partners in San Francisco as an analyst in their investment banking division. With an undeniable passion for entrepreneurship, Fergus decided to forgo his offer starting at the healthcare investment banking division for Rothschild & Co in New York after graduation to pursue his dreams in business with Live Undiscovered Music. 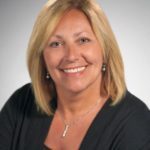 Susan LaBelle has over 30 years of marketing, new product development, and business strategy experience in the health care, pharmaceutical, and medical products industries. In 2003, she moved to Madison, WI to join Covance where she served as Global Vice President of Marketing. 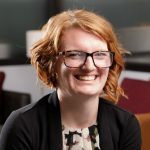 Most recently, Susan was Managing Director of the Office of Corporate Relations UW-Madison, working with companies of all sizes to help them achieve their goals by connecting with the resources at UW. In several of her previous positions, Susan had the opportunity to be an intrapreneur, working with small teams to start new businesses. In addition to her experience at mid-size and large companies, Susan has provided consulting on strategy and marketing to companies, nonprofits, and higher education institutions. Susan is currently a course leader and Faculty Associate in the Master of Science in Biotechnology program at UW-Madison, an active mentor with MERLIN, and has served on the board of directors of several local non-profits, including BioForward, the Literacy Network, Wisconsin Technology Council, and Madison College Foundation. 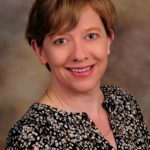 Susan has an undergraduate degree from Northern Illinois University, and earned her master’s in marketing and management from the Kellogg School of Management at Northwestern University. 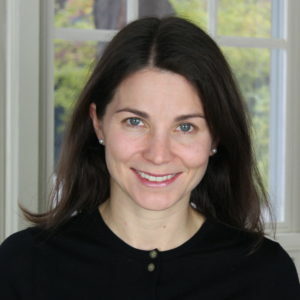 Kathy is VP of Marketing and a co-founder at iMETx, a new healthcare analytical company applying proprietary assessment analytics integrated with dynamic, individualized movement to rehabilitation therapy. iMETx is commercializing patented intellectual property developed at the University of Wisconsin-Madison. The company is dedicated to improving quality of life, health and wellness for those suffering from metabolic disorders. iMETx is poised to make revolutionary inroads into setting a new direction for healthcare rehabilitation, beginning with breast cancer. Through more than 17 years of University of Wisconsin – Madison research, including more than 6 years of joint clinical research and trials with Indiana University Mervin Bren Simon Cancer Center in Indianapolis, iMETx has created novel approaches to assess each patient’s metabolic signature and analyze patient health data, regular living habits and specific environment to create dynamic individualized movement therapy prescriptions. Clinical research has demonstrated improved patient power generation, compliance and quality of life. Prior to joining iMETx, Monetti has spent 25+ years leading and developing marketing programs at American Girl®, Crayola® and Nabisco®. This included direct – experiential retail, magazine and book marketing channels, brand and consumer insights, public relations, product design, content and entertainment. Monetti received her M.S. in advertising from Northwestern University, Medill School of Journalism and her B.B.A. in marketing from the University of Wisconsin – Madison. s including Culture Community and LinkedIn Local Madison. Carlos Vera-Ciro began his work on large volumes of data with highly precise simulations of the assembly and evolution of galaxies such as our own. The unprecedented detail of these models has shed new light into the interplay of complex processes that resulted in the formation of fragile galactic systems such as the Milky Way. 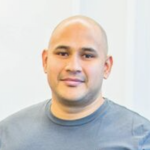 Originally from Colombia he obtained his Physics Degree working on Quantum Optics, then moved to The Netherlands where he graduated in the field of astrophysics, after that he worked as a Postdoctoral researcher in UW Madison where he actively started his work on Machine Learning. After that he moved to his home country as a faculty member on Computer Sciences and back to Madison as a senior data scientist in VEDA Data Solutions. Susie Younkle is Program director for MERLIN Mentors. In this role she coordinates the organization’s 100+ volunteer mentors and its dozens of active mentor teams that assist entrepreneurs. Younkle also enjoys helping start and grow businesses with particular focus on the financial aspects of startups. She currently manages accounting for the Forward Festival. She was previously controller for Laminar Technologies, a Chicago-based maker of the patented TurboTap device for pouring draft bee in a fraction of the time of normal taps. previously she served as an analyst at a consulting firm specializing in intellectual property valuation. 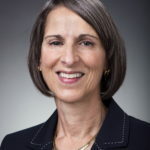 Younkle is involved with several non-profit organizations including the Memorial Union Building Association where she serves as Finance Committee Chair, the Madison Public Library Foundation and the Junior League of Madison. She is a graduate of the Wisconsin School of Business. Tobias Zutz is the CEO and Founder of Gregor Diagnostics, a molecular diagnostics company developing a new screening test for prostate cancer. Mr. Zutz has over a decade of R&D experience in assay development and molecular diagnostics in the Madison area. Most recently he was a member of the R&D team at Exact Sciences that develop Cologuard, a non-invasive screening test for colorectal cancer. Prior to Exact, Mr. Zutz was with two small Madison-area biotech companies. He is a proud Badger alumnus completing a BS in Biochemistry and Genetics and an MS in Biotechnology both from the University of Wisconsin.